Have you ever wondered how many creative ways there are to make a clean water donation? We’ve seen all sorts of fundraising efforts–everything from kayaking to beard-growing to lemonade stands. 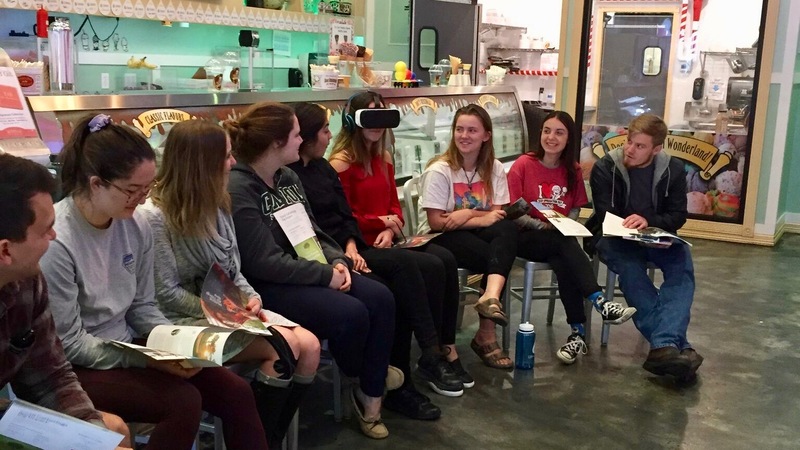 Another sweet example is that of a local ice cream company in San Luis Obispo County, Doc Burnstein’s Ice Cream Lab, with locations in Arroyo Grande, San Luis Obispo, and Old Town Orcutt. Owner and founder Greg Steinberger says his business has had a ten percent giving pledge since inception, fourteen years ago. Historically, donations have gone toward local blood drives or education, but two years ago, Greg was compelled to turn his giving international. He was inspired by a local school and church that was raising money to build a well in Africa, which is when he decided to partner with Lifewater. Greg is a believer that God does not recognize borders, and that it’s equally important to help our neighbors in other countries and continents, as it is to help those at home. That year, Doc Burnstein’s raised more than $6,000. Your business can make a clean water donation now. This year, Doc Burnstein’s is once again raising money for clean water. 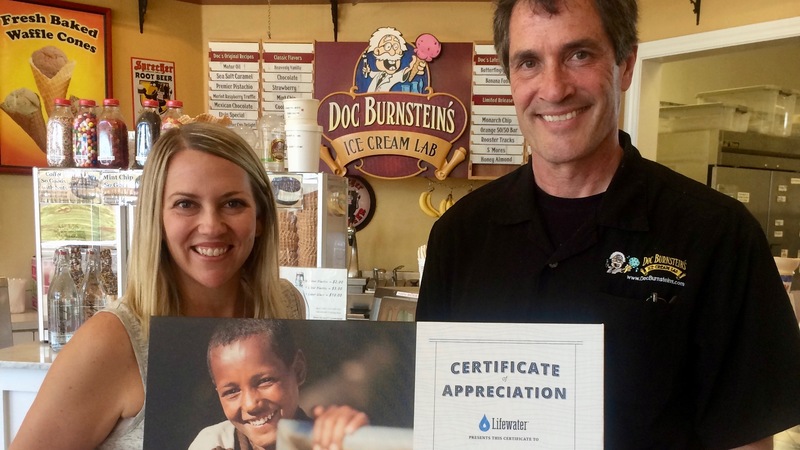 The ice cream company started a campaign to raise $12,000 to sponsor a Lifewater village water project by the end of 2017! The three ice cream parlors are having a friendly competition to see which store can raise the most money. Each time a customer purchases ice cream, they also have a chance to donate, either right there at the register or through a mobile-text-message-giving option. Another sweet treat is that Greg has agreed to match donations, dollar for dollar! Last month, Lifewater staff visited the leading Doc Burnstein’s ice cream parlor, for this friendly fundraising competition, and gave a presentation for the staff. Through the use of virtual reality headsets, team members even got to see the people and places that will benefit from their efforts. There are so many creative ways to raise money for clean water. Do you have an idea? We would love to hear your ideas, and we are thankful for all the ways you support those in need of clean water in Africa and Asia!